Most of the articles we have written have been around the actual mitre saws themselves but once you have bought it and start attempting jobs there is a lot to understand other than what is in the box. One of the main things to understand is your blade and what it is capable of cutting. 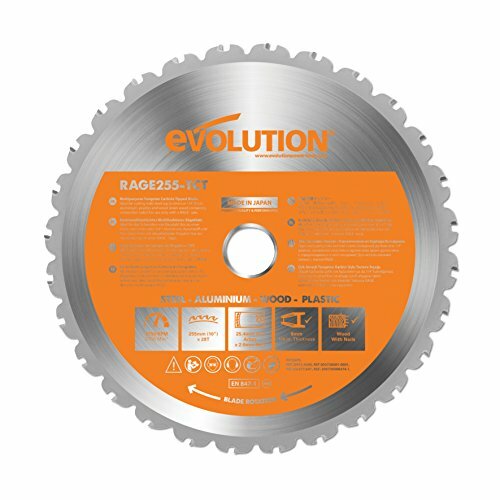 Many of the saws we look at come with a wood cutting blade that is good for general wood cuts but others like the Evolution come with a multi purpose blade that is able to cut wood plus steel, aluminium and plastic. If you think about the amount of different tasks this could help you with it is endless. 1 What Mitre Saw Blade Do I Have? 5 What Type Of Mitre Saw Blade Do I Need? 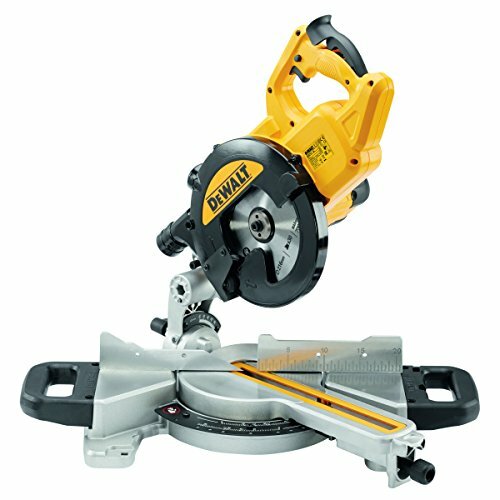 What Mitre Saw Blade Do I Have? So first and foremost you need to understand the blade that is on your saw plus you also need to know what type of blade will fit your model if you are thinking about changing it. The two main measurements you need to know is the bore size and blade diameter. Below we explain why. The mitre saw blade diameter is the straight line distance from edge to edge of the blade through the centre. If you have measured the radius just times it by two. I needed a 216mm diameter blade which is a size supplied by a few manufacturers such as Dewalt, Bosch and Erbauer which gave me a wide choice. Couple of things to remember here are if you buy a blade that has too large a diameter it will not fit inside the mitre saw body. If it is to small the saw body may not come down far enough for the blade to reach the cutting deck. The bore is the hole in the centre of the blade. 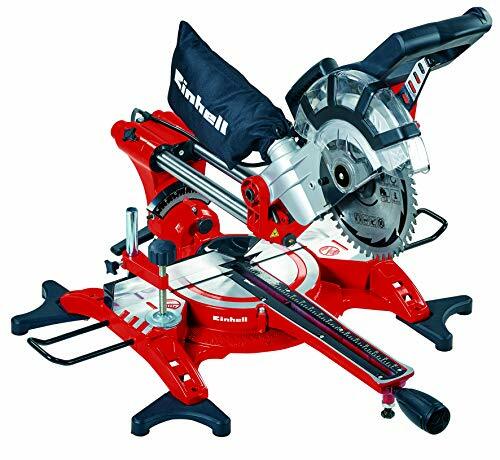 Mitre saw bore sizes vary with different manufacturers and different size blade. My Bosch GCM 8 SJL has a 30mm bore size which is easy to buy for. I needed to install some aluminium framing on a job and the standard blade I had could only cut wood so I bought an Erbauer TCT Blade with a 30mm bore. This fitted perfectly and the blade also came with a couple of bore adapters for other sizes. Once you know the two key dimensions of the blade you need to start looking at the type of blade you need for the job. The kerf refers to the size of the slot the blade cuts into the material. My blades are pretty general blades that have a wide cut so I really need to think about placing the wood in the correct position on my saw to take into account of the kerf. In the early days I did manage to cut some lengths of timber to short but not thinking about this. There are lots of thin Kerf blades available for fine finishes like the Craft blade below. 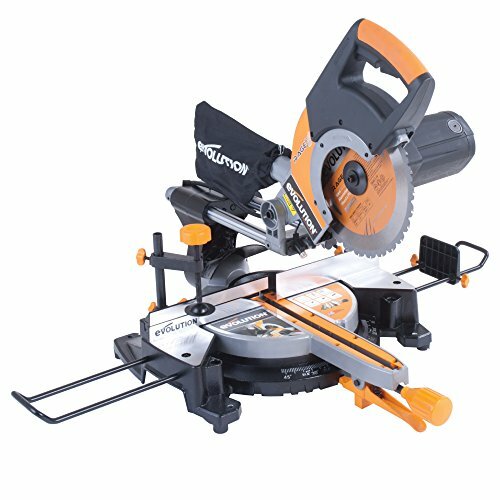 What Type Of Mitre Saw Blade Do I Need? Firstly you need to know the type of material you need to cut. There is a blade out there for a lot of jobs. Many DIY users opt for a blade like the Evolution mutli purpose circular saw blade that will cut metals, plastic and wood. This is very beneficial as you don’t need to change the blade frequently for various jobs. However, you may need specialist blades for different cuts. For example is you are cutting wood fence posts and want to rip through the wood and are not too fussy about the finish a coarse cut circular saw blade will be perfect. But if you are cutting expensive wood flooring you are likely to need a fine cut circular saw blade. My Bosch came with a medium coarse blade that was good for most wood cuts and left a pretty good finish. 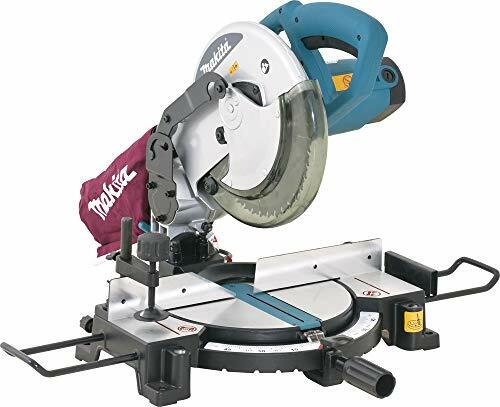 If you are going to do infrequent jobs it will be much more cost effective to buy the multi purpose TCT circular saw blade. This is also a factor to bare in mind when you buy your saw or you could end up spending a lot of extra money on blades. Make sure you read the instructions very carefully, if you are unsure get some professional advice as this needs to be done properly. On most saws there is a lock that prevents the blade from spinning. Once you have locked the blade there will be a tool to loosen the blade and tighten the replacement. The lock on my Bosch is behind the handle just above the motor. Very easy to spot. Below is a quick look at a few of the various blades on the market. It is a cross section of what you can buy so may need to look for a more specific blade. This is a great addition to your blade set as it has multi uses and is brilliant value. For most of us this will be a blade that we use infrequently but when we need it is the only blade for the job. Cutting light aluminium, uPVC and plastics is a pretty specific task ans a wood blade is just not designed for that task. The Silverline 598444 has a diameter of 250mm and will fit a lot of saws with the 30mm bore size and adapters to fit 25mm, 20mm and 16mm bore sizes. Very handy if you are likely to use the blade on different saws. This is a fantastic DIY blade and is designed to handle pretty much anything that is thrown at it. When Evolution say multi purpose they really mean it, this blade will cut wood, steel and aluminum. The one down side to this is that the bore size is fixed with no adapters. Make sure you check your saws bore size before purchasing. The 185mm bore size has a 20mm bore, the rest have a 25.4 mm bore. The blade is manufactured in a number of sizes for different saws. They start at 185mm going onto 210mm, 255mm and 355mm. This is the blade to buy if you don’t use the saw a great deal and need it for a range of jobs. 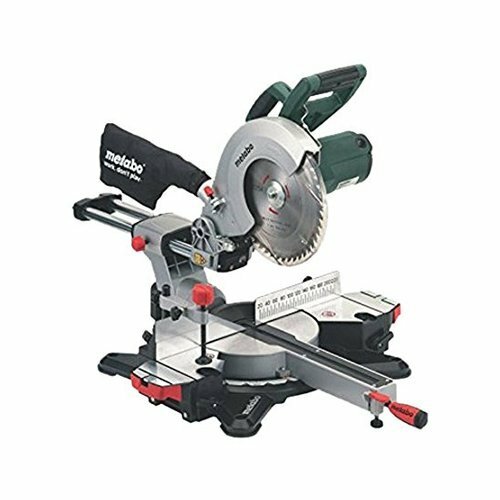 For those looking to buy a finishing circular saw blade for joinery and cutting boards for the perfect fit this is worth a look. 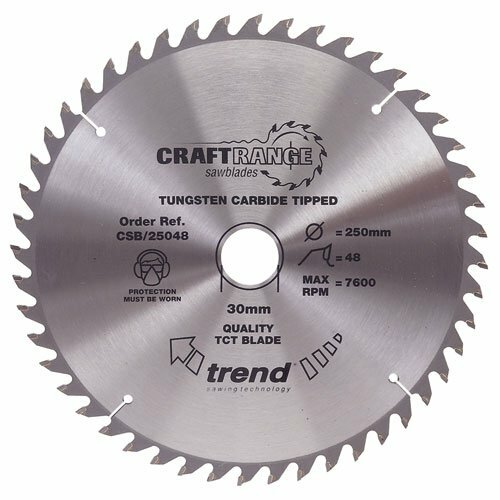 Trend make a number of craft saw blades to get all of your cuts looking tip top. If you are used to using a mitre saw you will know the difference between a standard blade that give an OK finish on the cut and a fine blade that give the prefect finish. 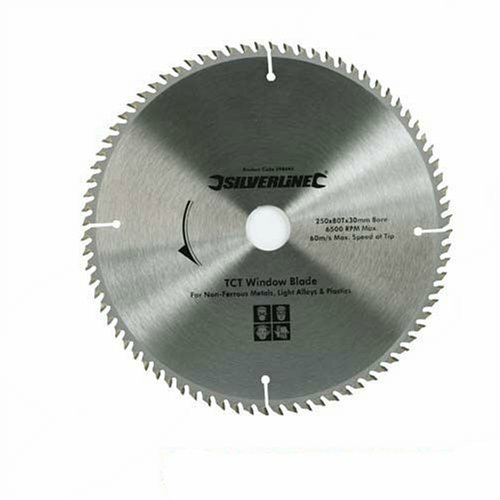 The Craft saw blade has 58 teeth and a kerf of 2.6mm. Probably one for the professionals but a definite good addition to your blades. Size wise it is 184mm and comes with a bore size of 30mm.